One of the tallest ash trees I’ve seen hangs its branches over the graveyard of Kilmorie Chapel. 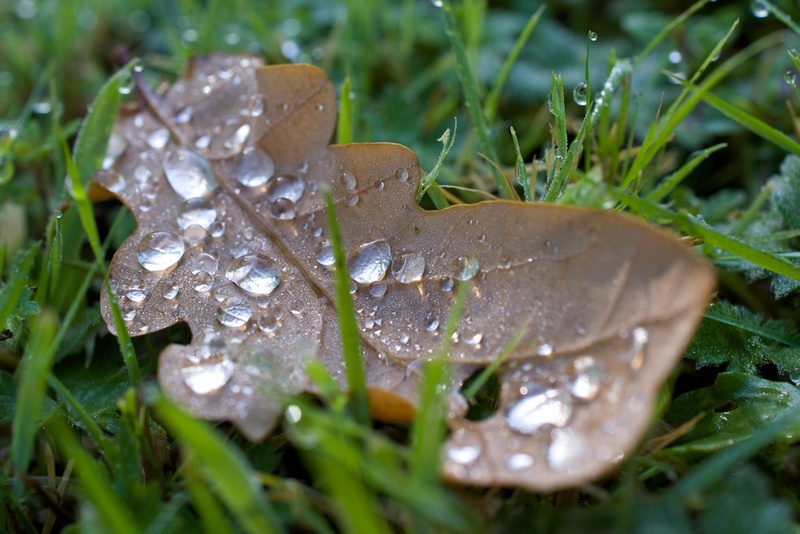 The leaves whisper as they scatter the sunlight into a thousand fragments, and the grass beneath is wet with dew. The Maclachlans trace their ancestry back to a man named Lachlan Mor, a 13th century chieftain, and through him to Anrothan O’Neill, an Irish prince of the 11th century. It is said that the line extends back another 600 years to Niall Noígíallach, ‘Niall of the Nine Hostages’, a High King of Ireland who seems to be part man, part legend. The lands owned by the Maclachlans around the shore of Loch Fyne came to be called Strathlachlan, the ‘valley of Lachlan’. Old Castle Lachlan: The first Maclachlan stronghold was built on a low craggy outcrop that juts into the loch, a short walk from the chapel. This is ‘Old’ Castle Lachlan, ivy-covered and crumbling and magnificent. 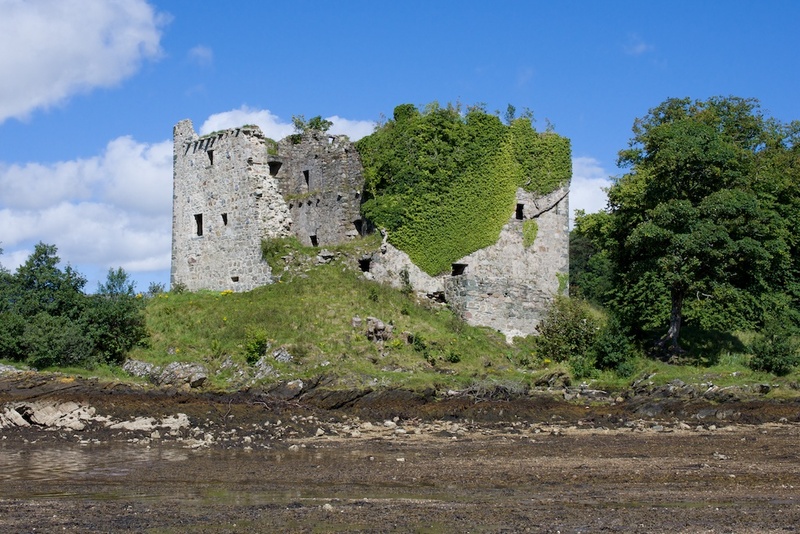 The ‘New’ Castle, framed by mature trees and standing a little further inland, dates from the late 1700s and is the home of the present Clan Chief. There’s not an awful lot left of Kilmorie Chapel, but you have to admit that it’s still ridiculously pretty. Finding an accurate date for it is surprisingly difficult, but its dedication is thought to come from St Maelrubha, an early Irish saint who lived in the 7th and early 8th centuries AD. St Maelrubha also gave his name to the beautiful little chapel of Kilmory Knap on Loch Sween. This doesn’t mean that the existing structure is that old, however. A church is said to have been here at the time of the Crusades, although there is no written record of it before 1543. But the graveyard is circular, which is usually a sign of an early Christian church. A few yards down the road, a ‘wishing well’ – possibly an old holy well, catching the water of a hillside burn – is another sign that you could be walking in the footsteps of an early saint. The church once extended further to the west, meaning that it had a longer nave, but this part is long gone. The archway that now forms the west entrance is blocked off by railings, but there seems to be little to see inside, apart from a few memorials placed there in more recent centuries. The 24th Maclachlan Chief, Marjorie Maclachlan (1926-1996) and her husband, George Stiles Rome, are buried on either side of the entrance. 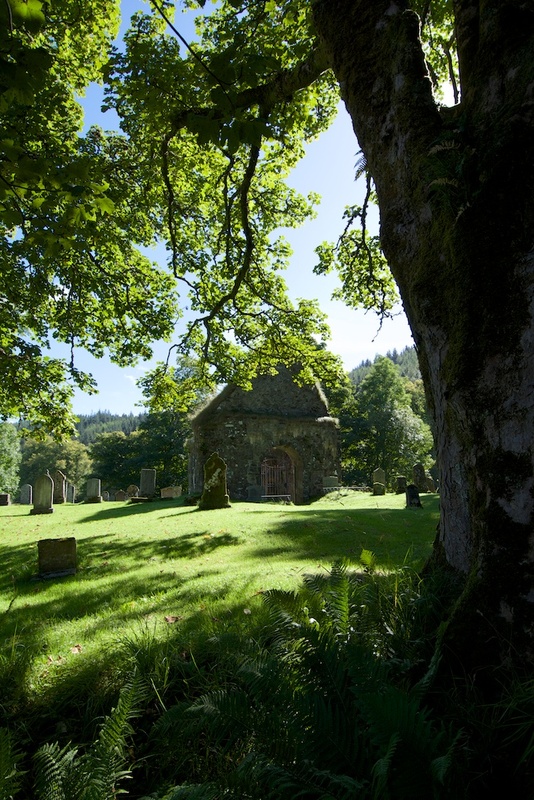 In recent years Kilmorie Chapel had become so fragile that it was threatening to collapse, but crucial help came from The Lachlan Trust which raised enough money to fund a programme of conservation work. To the east, a tall slim column of stone is unmistakably an early cross-shaft, its head broken and now sporting generous tufts of lichen. I believe a fragment of the cross-head is kept in the church nearby. Wandering around, you notice some lovely old gravestone carvings, into which moss is gradually running its velvety fingers. Huge tree stumps, carpeted in softest green, attest to a long history of majestic trees on this site. 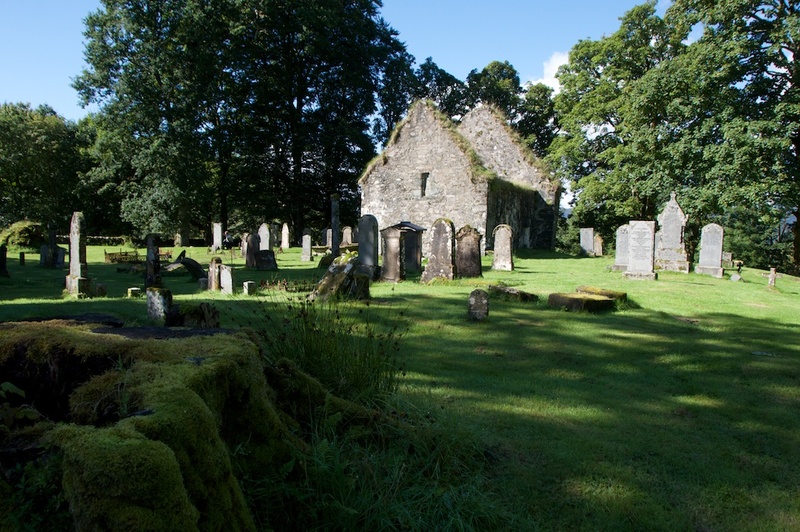 The strath, now deeply peaceful, would have been a little hive of activity when the Old Castle was inhabited, with a small cluster of village buildings around the chapel. A path from the graveyard leads you towards Old Castle Lachlan, through a meadow and along a boardwalk that spans the river. Loch Fyne, one of Argyll’s longest sea lochs, stretches away into the distance. This is a more sheltered spot than Knapdale, further west, where the trees hug the hillside and bend away from the Atlantic gales. Castle Lachlan was built for a purpose, which was to defend and to dominate, and there are a couple of ghostly tales about it as well. You can read it about it in this feature on The Hazel Tree. You always manage to find little gems tucked away in the back of beyond, Jo. I know, Alen, they just pop up into my path! This one was a surprise, as we’d never been down that side of Loch Fyne before. Lovely drive. What a beautiful place and so rich with history! Aah, I know, I feel as if I’m walking on history everywhere! 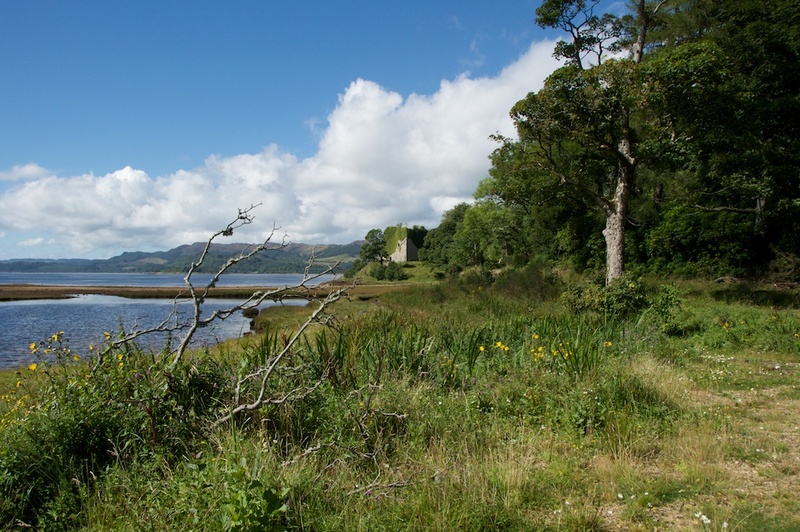 This part of Argyll is lovely – it was new to us, and a joy to explore. I’m always amazed at how much of Scotland there is. Ahh, wish you could, Jean! Lachlan is a lovely name, and Strathlachlan is an equally beautiful place. We miss you too! 🙂 Met up with Moira just recently and went to see the Celts exhibition in Edinburgh – fabulous. Thanks, Lynne! Yes, you would love the drive down Loch Fyne and the road that goes over the top towards Dunoon is spectacular – awesome views down to the Kyles of Bute. Not sure if you can see the castle from the west shore but I don’t see why not. You’d be looking directly across at it just south of Minard. That’s very interesting, Evelyn! I am afraid I can’t answer that for sure, although if someone else knows the answer they are welcome to leave a comment.